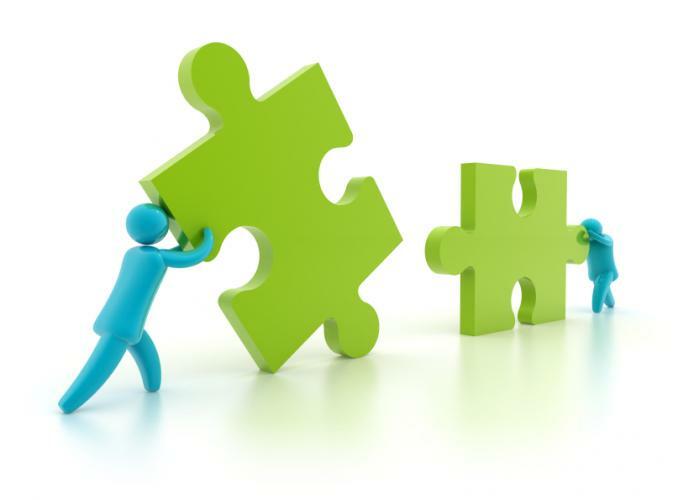 Elected officials make decisions as representatives of their communities. However, they also play a role in bringing the public’s voice to the decision-making process. 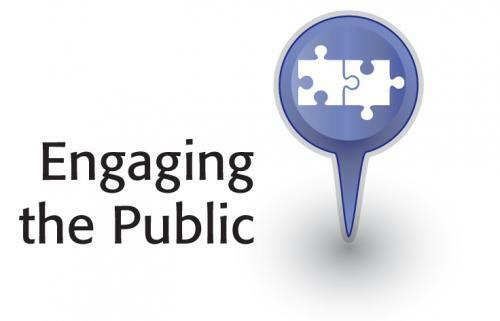 To assist local agency officials and staff with this task, the Institute offers a variety of resources relating to the whys and hows of public engagement practices. 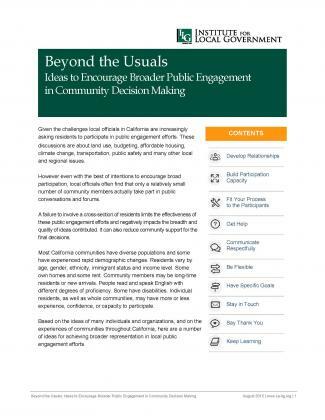 This comprehensive survey compares the perspectives of local government officials and community leaders on public participation in California. 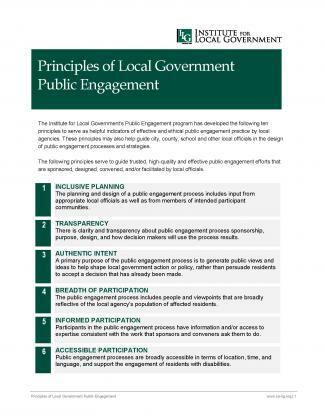 Both sectors share a concern for the disconnect between the public and local government decision-making, and both are seeking broader public engagement and stronger collaboration. 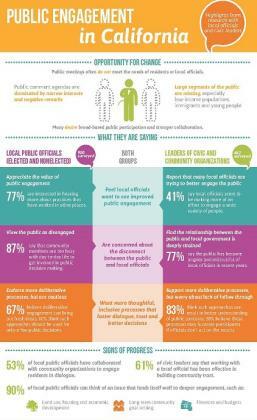 A printable infographic that highlights the research findings and recommendations alo﻿ng with the full reports and their companion executive summaries are available (to the right) for download. 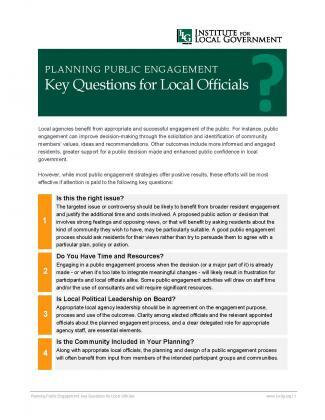 The slides (attached at right) were presented to local officials new to local public service. 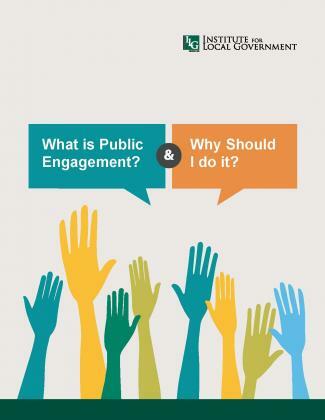 Materials and resources aim to help an agency clarify its public engagement purposes, identify who an agency wants to reach and involve, and choose the public engagement approach that best fits its purpose and participation goals.